Several brethren have shown interest in forming a Master Craftsman Study Group for those interested in continuing their Mason Education through the Master Craftsman Program. It will be open to all – those who are, or have enrolled in Master Craftsman, and those that are interested. The tentative plans are to meet at the Scottish Rite Building, one night a month (probably a Wednesday). The mutual exchange of ideas and interests in Masonic knowledge is the ultimate goal. If you are interested, please contact the Scottish Rite office, with you name, address, telephone and e-mail address. 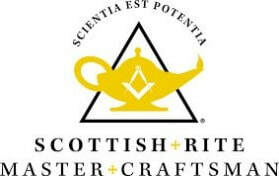 There is renewed interest in the Scottish Rite Blue Lodge Third Degree team. 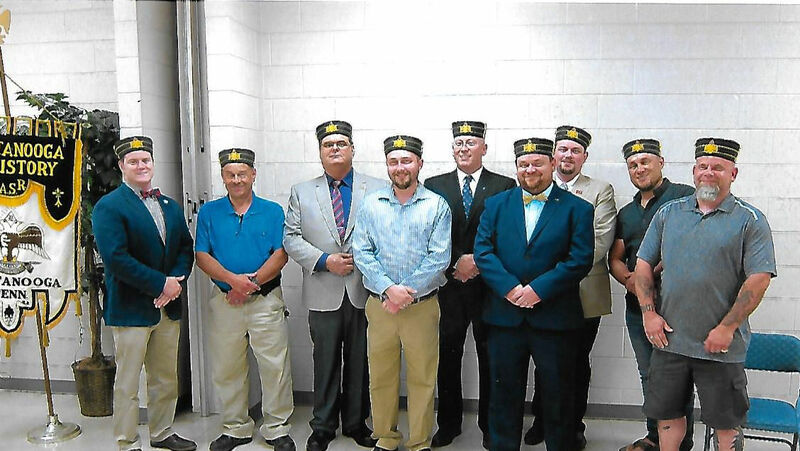 This team will confer the Master Masons Degree in Lodges in our Valley. The initial plans are limited to one conferral per month (usually a Friday or Saturday night) and some travel will be involved. Car pooling will be encouraged. The degrees will be conferred in full form, with complete regalia and costumes. For those that are interested please contact the Scottish Rite Office with your name, address, telephone and e-mail address. Also please indicate what part(s) you would be most interested in, for the first and second sections of the Third Degree. The Cap and Ring Ceremony for the 2018 Spring Reunion class was held at our June meeting. Below is a picture of the brothers who were honored. 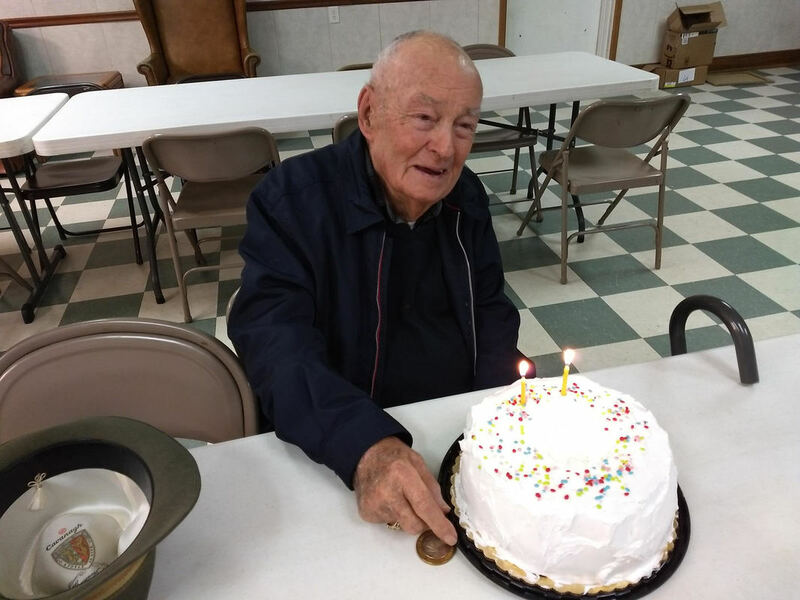 Ill. Mel Turner, 33° celebrates 102nd birthday! W.A. Price SR Club celebrates the 102nd birthday of Bro Melvin N. Turner, 33° and 50 yr member. One of several parties in Jasper to recognize his longevity and continued service to our community. 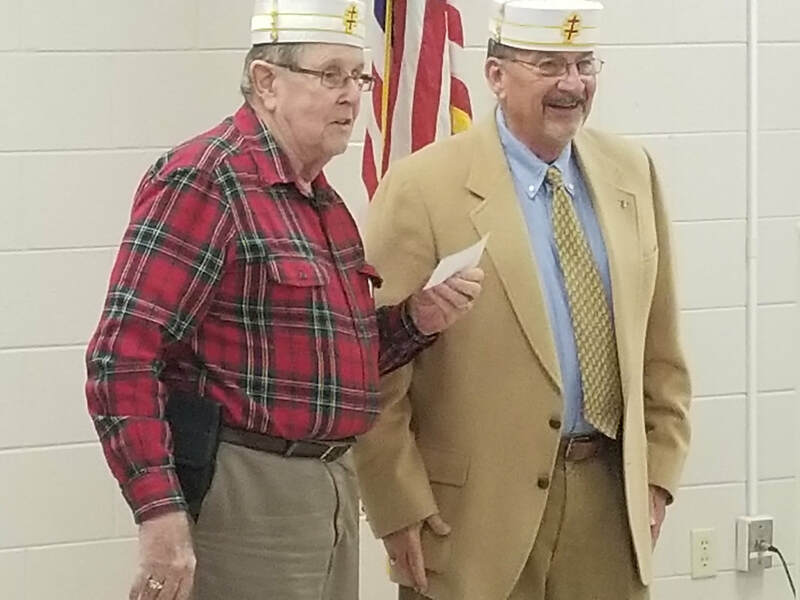 Bro Turner is currently the most senior member of the Chattanooga Valley. Dennis Phillips, 33° (right), President of W.A. Price Scottish Rite club, presents a check for $100 for the Mercy Shoe Fund to Bill Barber, 33°, General Secretary. Brothers, attached for your review are the draft bylaws that we will be voting on at the February meeting. Please review them, and we will see you in February!